Northwestern Engineering’s Bernard J. Matkowsky has received the John von Neumann Lecture Prize from the Society for Industrial and Applied Mathematics (SIAM). Established in 1959, the award is SIAM’s highest honor and recognizes outstanding contributions to the field of applied mathematical sciences. An international leader in the mathematical theory of gaseous combustion and combustion synthesis, Matkowsky was cited for his leading contributions to the methods of and use of matched asymptotics and singular perturbations, particularly as evidenced in problems exhibiting resonance; to the effect of noise on deterministic dynamical systems; to bifurcation phenomena; and to pattern formation. A fellow and active member of SIAM, Matkowsky will officially receive the award at the July 10-14 SIAM Annual Meeting in Pittsburgh. 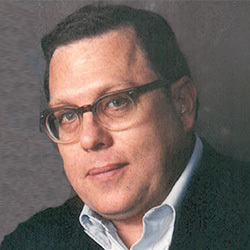 Matkowsky was recently recognized as one of SIAM’s most prolific authors, publishing 67 papers in SIAM journals since 1969 and making him the second highest contributor of all time. He is also an Institute for Scientific Information highly cited researcher. He has received several awards and honors, including Guggenheim and Fulbright-Hays Fellowships. He is also a fellow of the American Association for the Advancement of Science, American Academy of Mechanics, and American Physical Society.